A resident of West Mifflin, Bob Macey is the District 9 representative for Allegheny County Council. 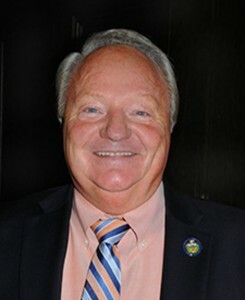 He has continually integrated himself into the network of various public service and nonprofit organizations in the Mon Valley area, including the Duquesne-West Mifflin Rotary, Mon-Yough Area Chamber of Commerce, Regional Chamber Alliance Foundation, Mifflin Township Historical Society, and the West Mifflin Community Foundation, serving as a board member for all these organizations. For relentlessly serving his community, Bob was a recipient of the Mon Valley Initiative Jo DeBolt “Volunteer of the Year” award and was recognized for his volunteer activities by the Regional Business Alliance. As the former Director of Business Development and Community Relations for Century Heritage Federal Credit Union, Bob was uniquely exposed to the problems touching citizens of former mill communities. His ability to relate to former mill community problems has led him to dedicate his time to help alleviate their issues. Councilman Macey’s work to better his community started at an early age. After graduating high school in the late 1960s, he began a career in the United States Steel Works Mill in Duquesne, where he remained for nearly 15 years, and was elected Financial Secretary of U.S.W.A. Local 1256. As local mills closed in the early 1980s, he worked through his union to help distribute food packages. To relieve the plight of area families, he helped establish vocational retraining and community revitalization projects with various social service and government organizations. After the closing of the Duquesne Mill, Bob attended classes at Pennsylvania State University and the Community College of Allegheny County. He currently holds an undergraduate degree in Business Management, and is a licensed commercial pilot, Pennsylvania Licensed Physical Damage Appraiser and Certified Marketing Executive. Prior to joining Allegheny County Council, Bob was a past Board Member of the Allegheny County Airport Authority. Today, he serves as Council’s liaison to the Authority. In addition to his regular Council duties, he serves on the Southwestern Pennsylvania Commission as a Commissioner, and also on the Regional Trail Corporation Board of Directors. His volunteer efforts to assist those who wish to better themselves and their communities continue today.